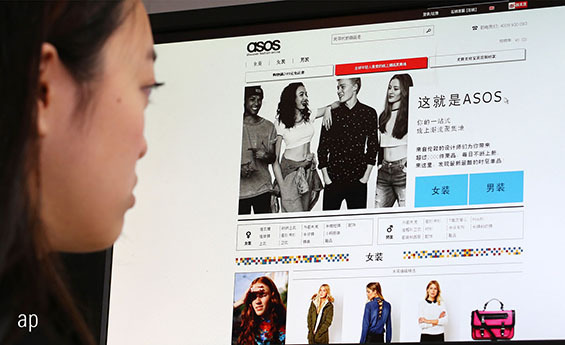 Online retailer ASOS (ASC) has had too much of a rollercoaster ride for my liking. While its clothing was modelled on items worn by celebrities as seen on screen, my screen tells me the shares peaked just shy of £70 early in 2014, slumped to £1.85p then set a new high of £77.30 earlier this year. Now they are back around £58. The figures admittedly look larger because the value of an ASOS shares is about 10 times that normally ascribed to a UK-listed company. However, even if you knock a zero off the end to give an easier-to-understand comparison, those are pretty wild swings. Yet I do not feel that shareholders should panic over a 10.5% drop in the share price this week after a fairly mild warning on sales figures. ASOS said that slower growth overseas meant that revenue would grow at the bottom end of its 25-30% range in the year to the end of August. That’s still some growth, and in any case analysts were already forecasting 25.8%, so the bottom of the range isn’t much less. ASOS reassured investors that profits were still in line with expectations, which is rather more important. It said the final quarter of its financial year had started strongly and by sticking to full price sales its margins have improved. Because it has concentrated on online and mobile shopping it is not lumbered with the problems of the UK High Streets, although it is spending heavily on distribution centres in the US and Europe to boost growth overseas in 2019. I think the shares will find good support at £60 if that level is tested. If you’re in, enjoy the exciting ride. This isn’t the time to jump off. If the world economy is going to slow down, the message has not got through to those who recruit the workforce. Pagegroup (PAGE) and Hays (HAS) are still doing quite nicely around the world, and not too badly in the UK despite its position as one of the most sluggish economies in the Western world. Pagegroup reported record profits in the second quarter of this year. The 16% improvement was the strongest quarterly figure for seven years. All the growth came from abroad, ranging from 15.3% in Asia Pacific to 19.6% in the Americas and 19.8% in Europe, Middle East and Africa. The UK, accounting for one fifth of profits, slipped back 1.9% but even so this was an improvement on the 7.1% slippage in the first quarter despite the chaos over Brexit. Pagegroup, formerly Michael Page International, sees this year’s results coming out slightly better than the £134 million forecast by analysts. Its shares are up from 440p at the start of the year and despite being hit by mild profit-taking on the results are still pushing 600p. If they slip back further I believe they will find support at 530p at the lowest. I have held shares in Hays for several years and despite a rocky patch that saw me in the red for several months I have been pleased with the outcome. The shares are back above 200p, double the level two years ago. In the three months to 30 June, the group’s final quarter, fees were 14% higher and even the UK and Ireland was 5% better. As with Page, this was a record quarter for Hays and prompted a similar assurance that profits would be marginally ahead of expectations. What I like about the Hays figures is that growth is spread across the world, topping 20% in France and Belgium and soaring in the US and China. I regard recruitment as a good economic indicator. If these two are anything to go by, it’s right to stay fully invested.